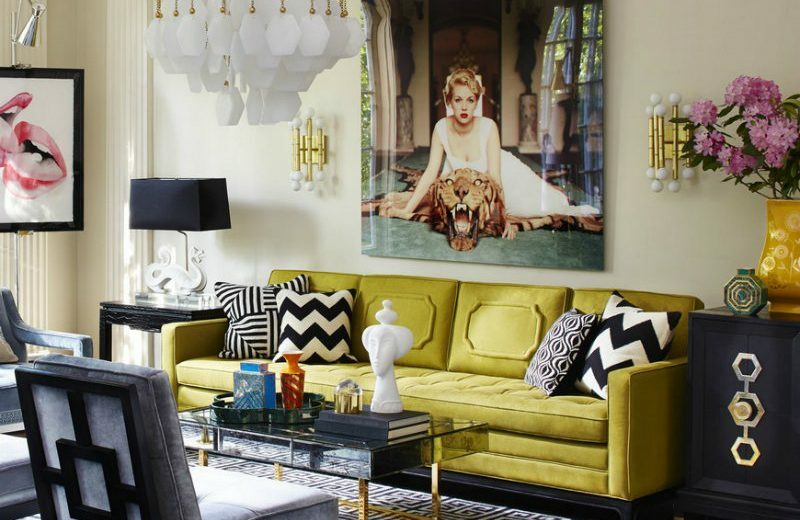 For interior design lovers, New York is also known as the Design Capital of the United States of America because this amazing city is, indeed, a powerful design centre and creative hub for any Design Lover. 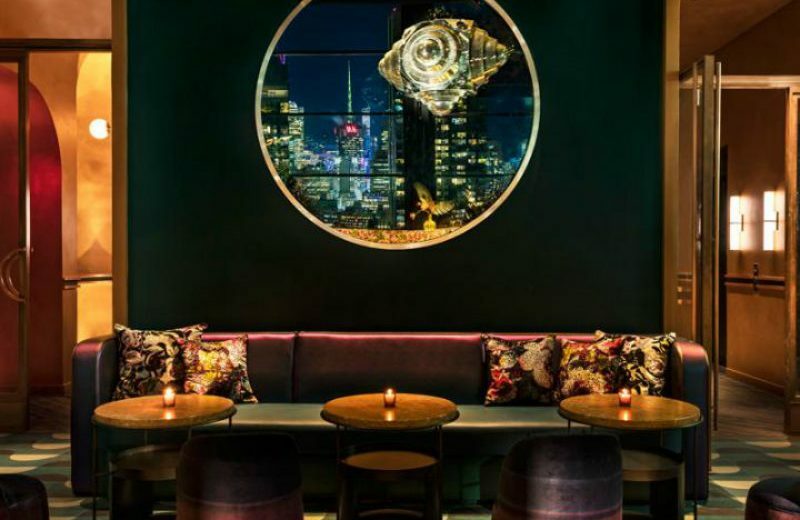 No wonder this amazing city is home for many of the North-American Interior Designers of excellence and, in this article, Home Decor Ideas will explore the best that New York’s Top Interior Designers have to offer when it comes to their interior design projects. 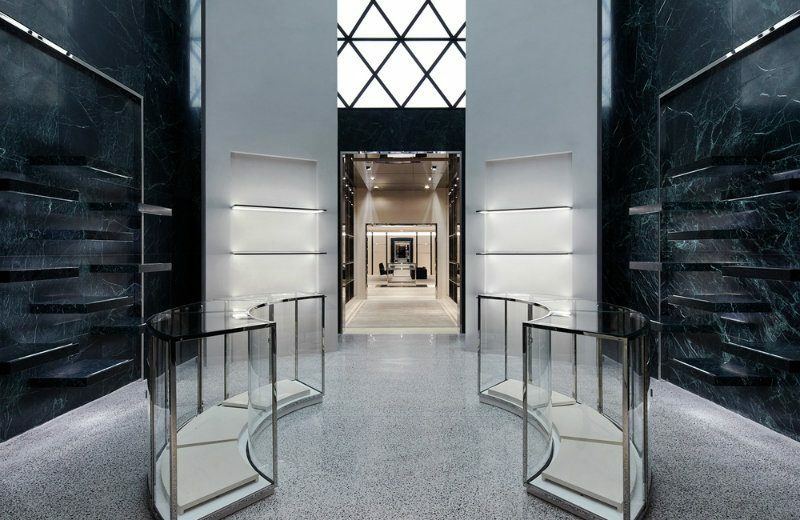 Another Top Commercial project in NYC by Marino is the iconic Chanel Flagship Store at 57th Street and Fifth. 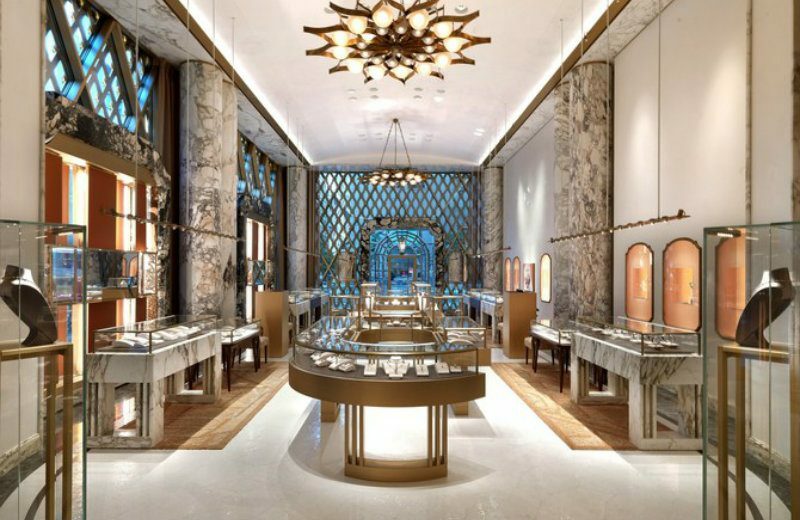 in 2006, this opulent 14,000 square foot boutique was entirely redesigned by architect Peter Marino. 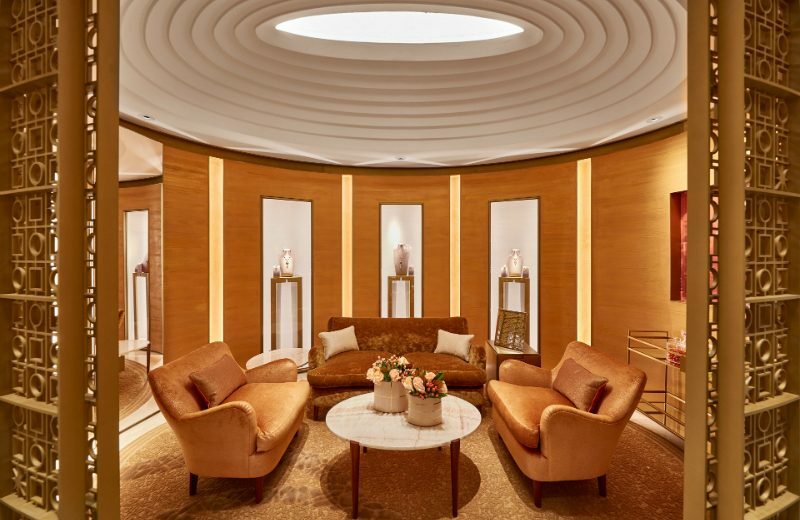 With golden tones and an opulent style that mimics Chanel, this Flagship Store is, till this day, one of the Most Iconic projects by Marino. Another recent Project of Marino that produced many Design Highlights was The Getty, an entire building project located on West 24th Street and 10th Avenue. 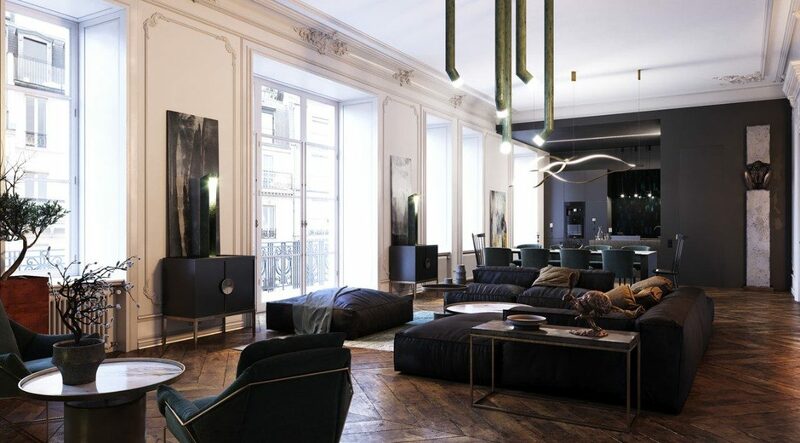 The building designed by Marino consists of the Lehmann Maupin Art Gallery on the ground floor, an Art Foundation above that, and six unique residences with stunning interior architecture and designs also developed by Marino. Just take a look at those details, from Hardware to the Flowers! 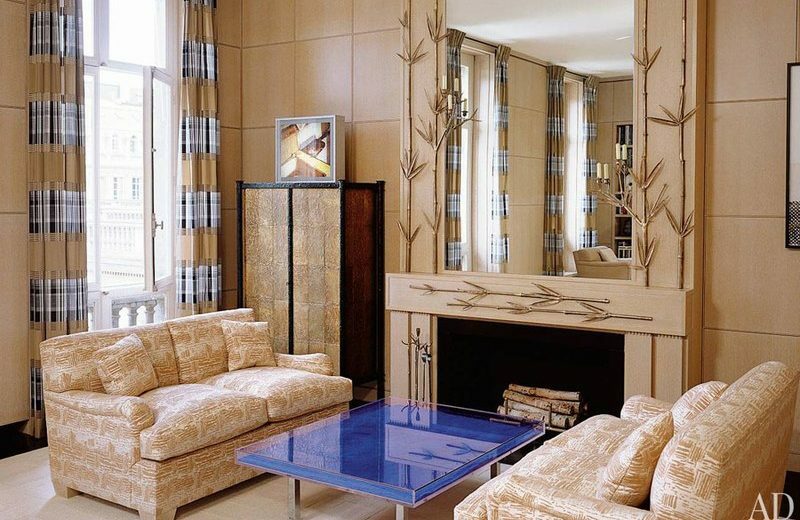 Marino was also hired to design a suite at the Four Seasons Hotel in New York! Marino created a penthouse suite that reads like a multilayered, site-specific artwork—with virtually every decor detail and piece of furniture having been commissioned. The end result is stunning. 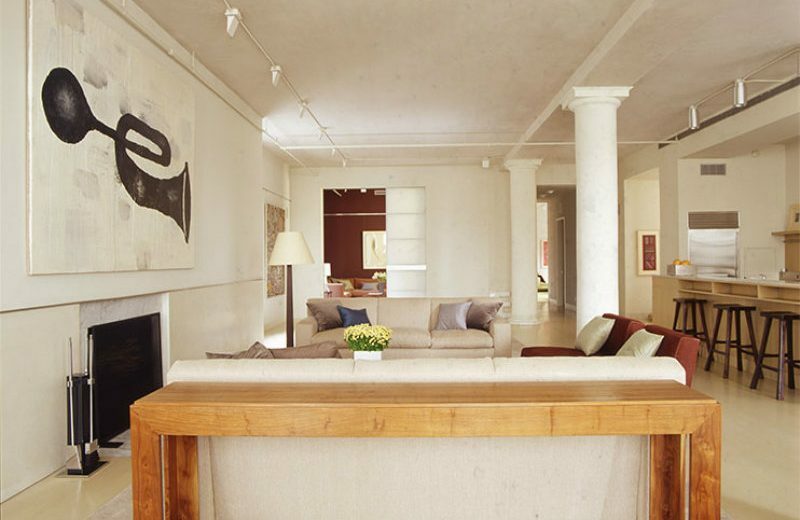 He was also responsible for designing an Art-Filled 1930’s Manhattan apartment, where he seamlessly integrated neoclassical tables and 18th-century chairs with the owners’ museum-worthy collection, which includes works by Henri Matisse, Willem de Kooning, Mark Rothko, and Andy Warhol. 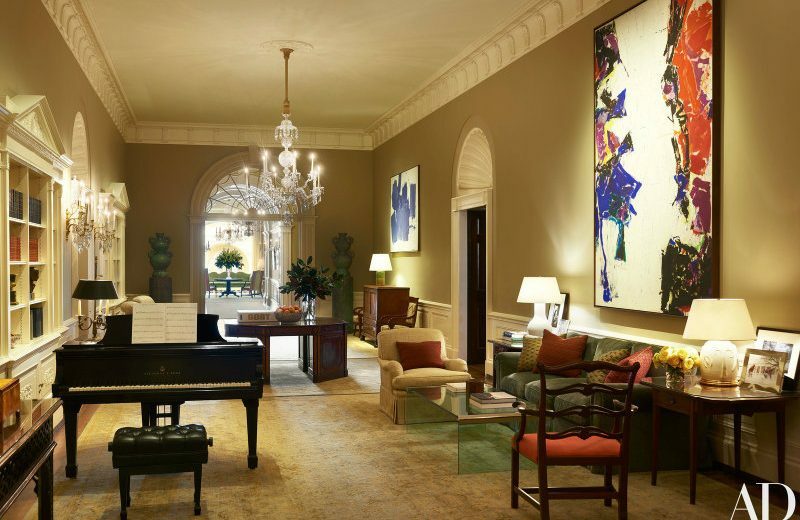 One of the most stunning and classical projects of Marino in New York is the following Residence. You may not know, but Classical Music is Marino’s passion, and he thinks about architecture much like a composer. 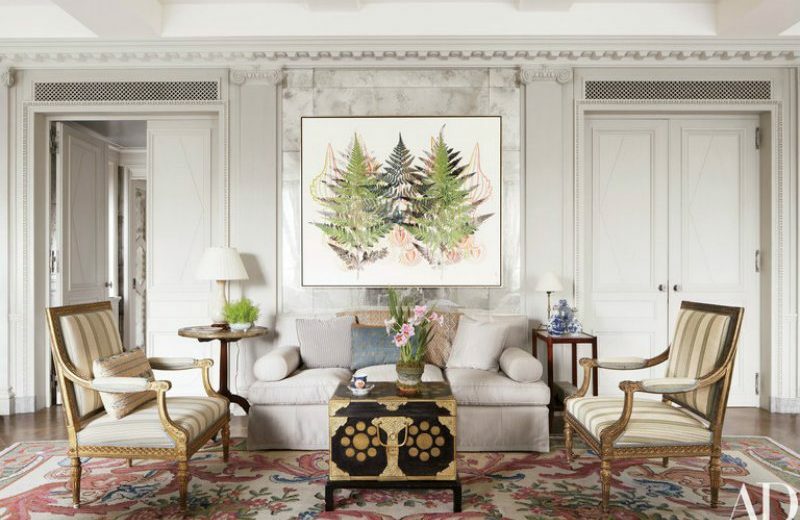 He entirely reinvented a prewar Manhattan apartment by introducing an assemblage of first-rate furnishings, opulent masonry and finishes, and blue-chip art. 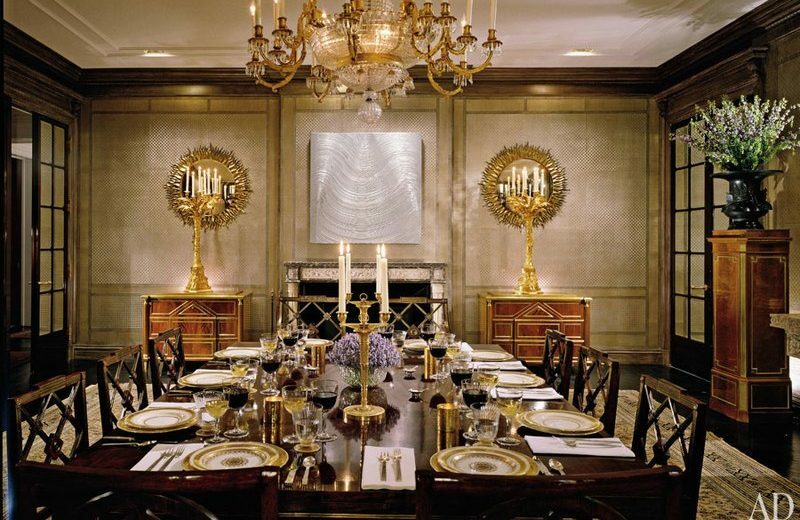 In the dining room, sunburst mirrors and a 1999 Jason Martin painting accent the walls, which are covered in embossed-leather panelling with silver-gilt overleaf. He is also responsible for other amazing Residential Projects all around the City and all of the following represent a powerful and stunning Modern Decor that perfectly uses Color and Luxury Designs! Just take a look and admire his incredible work that stands out by the use of amazing Sofas and Chairs to balance the Modernity and the Opulence of his vision! 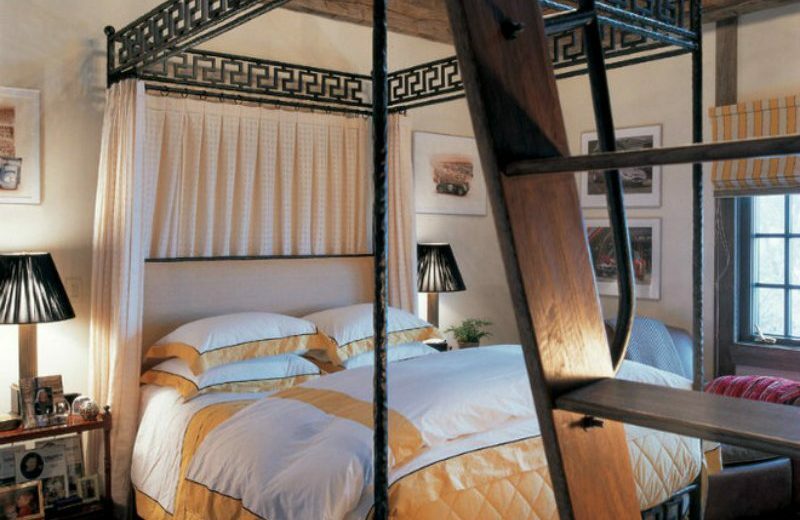 One of his biggest and most stunning projects in New York was the redesign of his very own fabulous NYC Penthouse, which Smith renovated with Oscar Shamamian of Ferguson & Shamamian Architects. With a touch of French Classical influence, this Penthouses boosts a Retro and Monarch Style that takes us back to the French Royalty Golden Days and that reminds us of the great Palace of Versailles! 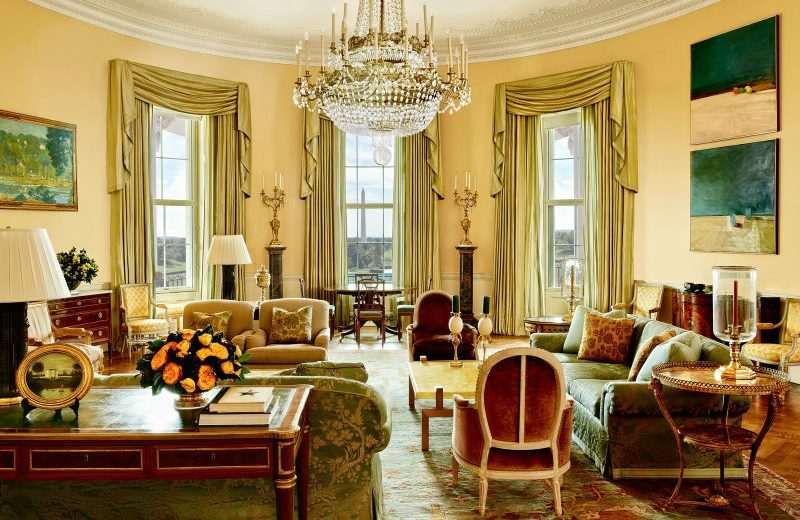 With some of Jasper’s Fabrics and Furniture to complete the stunning Royal look, this Penthouse is a great example of Royal Opulence with amazing Mirrors and powerfull sofas. 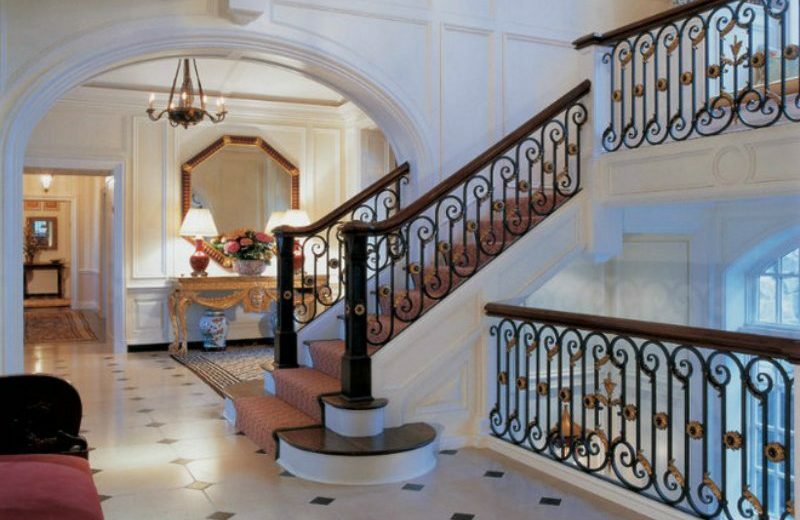 Also located in New York is another stunning Penthouse designed by Michael S. Smith that follows the Royal and Vintage Parisian Decor Style. 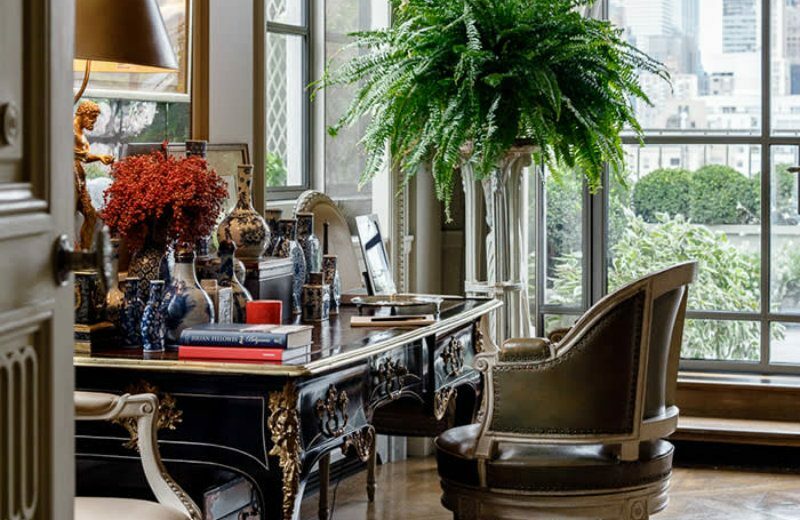 With a lot of Gold and Classic Furniture that it’s mixed with some incredible Jasper Elements, this Penthouse boosts the Perfect Opulent Style! 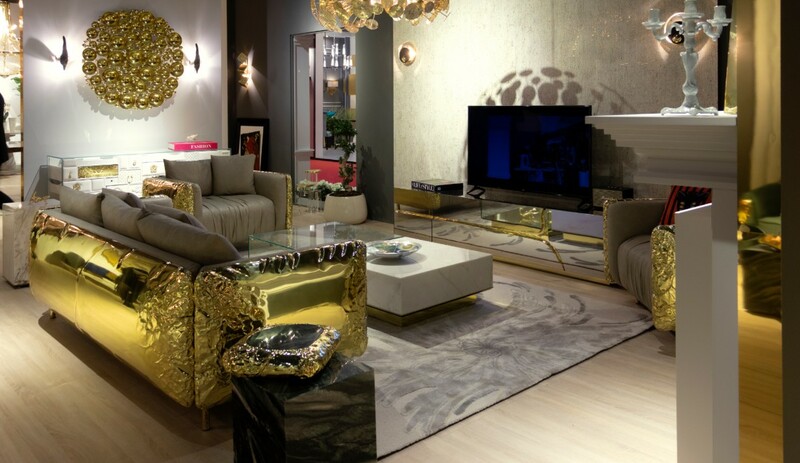 The living room, for instance, is the perfect example of a glamorous royal style. We can see a Moore sculpture displayed on an 18th-century gilt-wood console from H. M. Luther with a Sicilian-Jasper-veneered top. 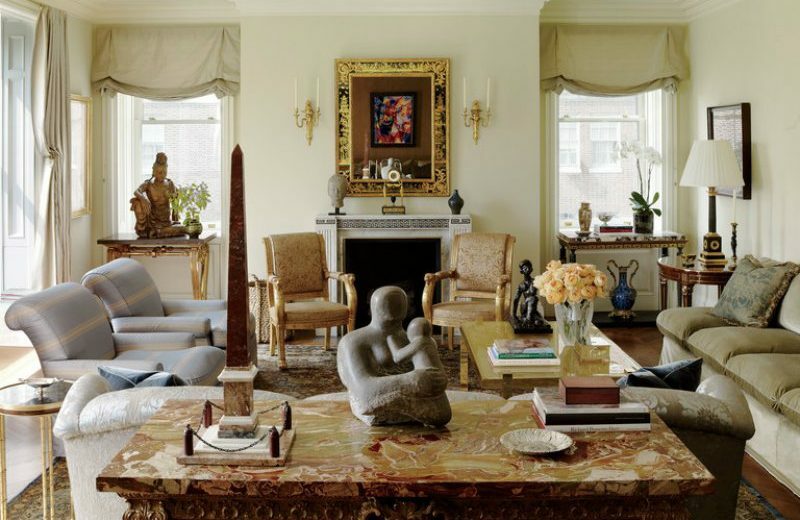 A pair of Empire fauteuils from Mallett stand beside a Carrara-marble mantel attributed to Sir John Soane, purchased from Chesney’s. The armchairs covered in a silk stripe are by Jonas, and the cocktail table is by Magni Home Collection. The all set provides a stunning decor! 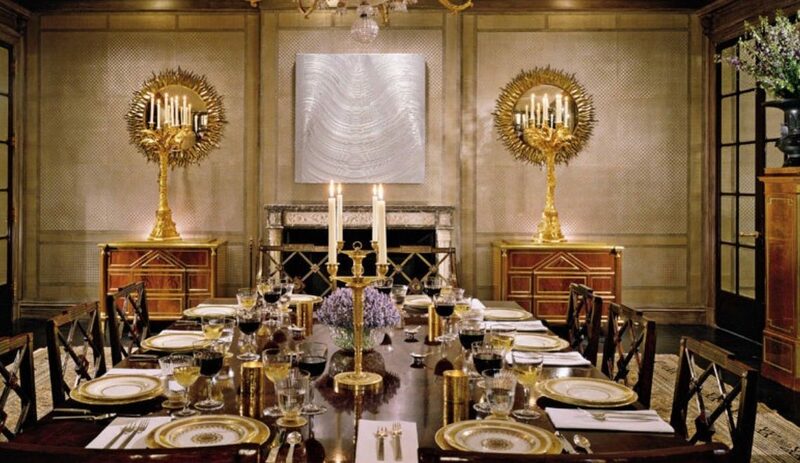 We must also highlight the stunning decor this amazing designer produced for the Obama’s at the White House. It’s far from New York we know, but the White House Project is definitely one of Michal S Smith’s top works! The Smith-Obama collaboration progressed in much the same way as any typical designer-client relationship and the end result, as you can see, was amazing. 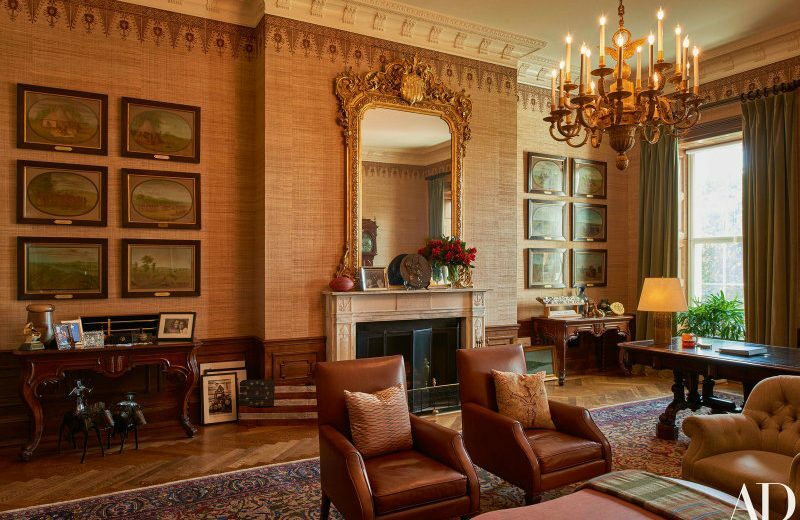 It mixed the Classic Style of the White House Building with a Modern look of the Obama’s and that mix is evident in the Modern Living Room that Smith produced. 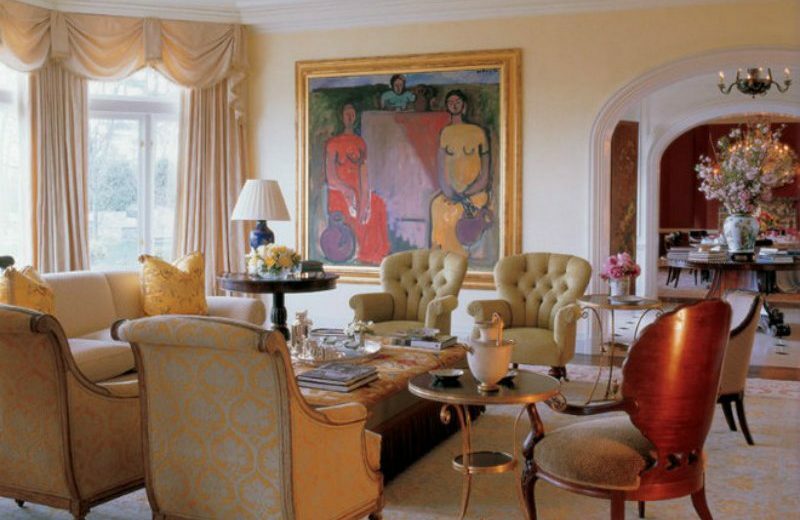 As you can see from the examples above, Michael S. Smith follows a more stylish, classic and opulent style of design. 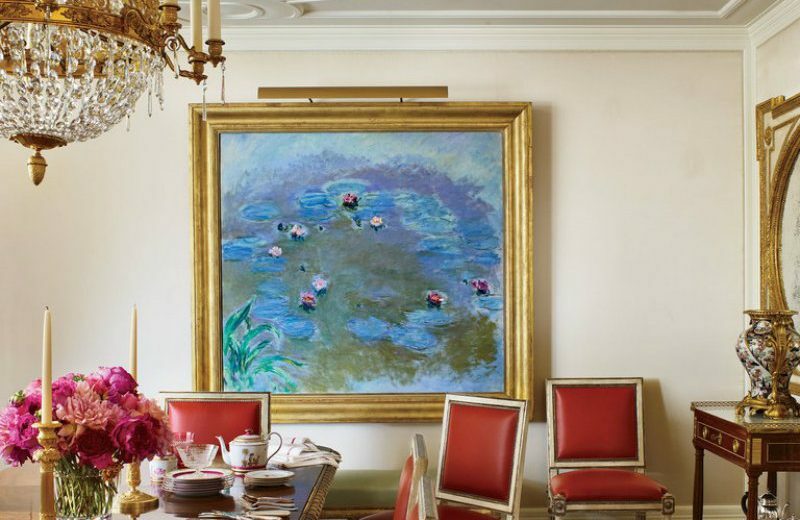 In his projects, he usually uses some amazing Art Work from Classic Painters and, at least, one Century Old Furniture Piece that includes some personality to the Overall Decor! 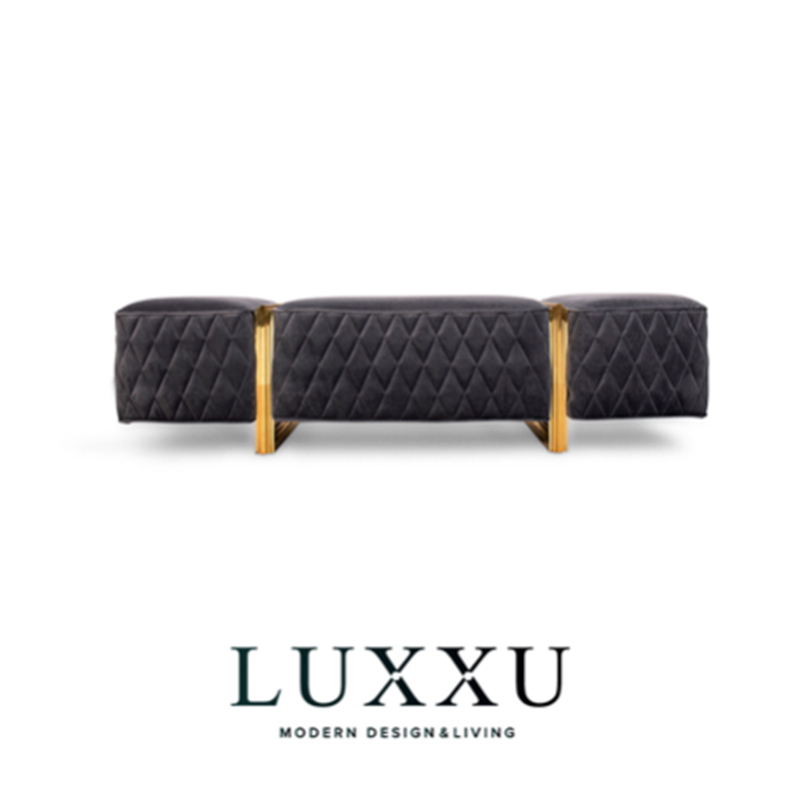 His projects also present some stunning pieces form his very own luxury furniture brand, Jasper, that also mimics his love for the classical design! Jonathan Adler is a potter, designer, and author. Adler launched his first ceramic collection in 1993 at Barneys New York. 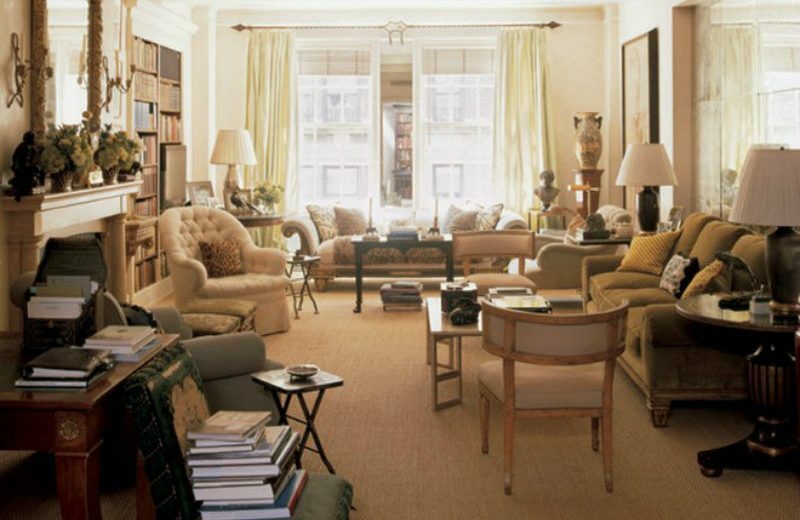 Five years later he expanded into home furnishings, opening his first namesake boutique in Manhattan. 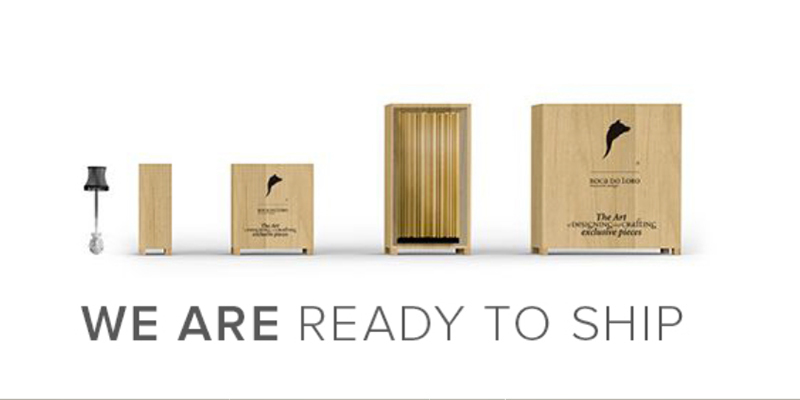 Adler now has 26 stores worldwide, an e-commerce site, and a wholesale business with over 1,000 locations worldwide. 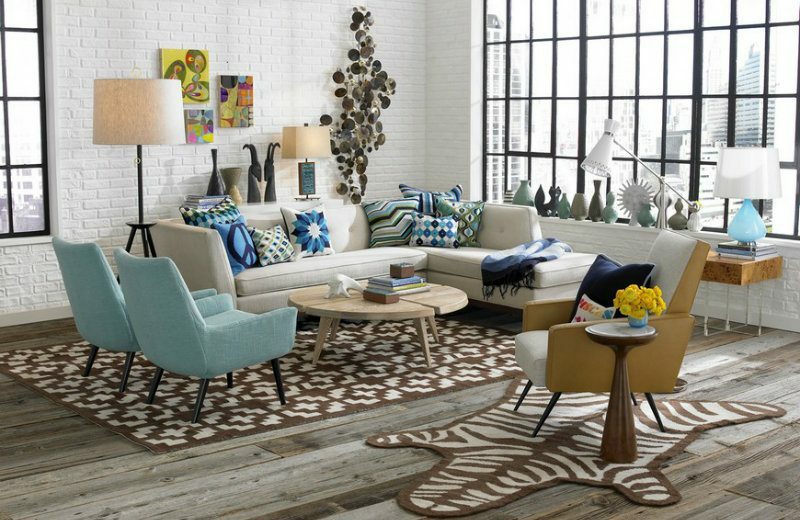 In addition to ceramic design, Jonathan Adler Enterprises has expanded to become a design brand offering decorative objects, tabletop collections, bedding, bath accessories, gifts, candles, furniture, rugs, pillows, lighting, and most recently handbags. Adler’s inspirations have mainly come from the Mid-Century Modern Style! He’s also an Art and Global Pop lover. 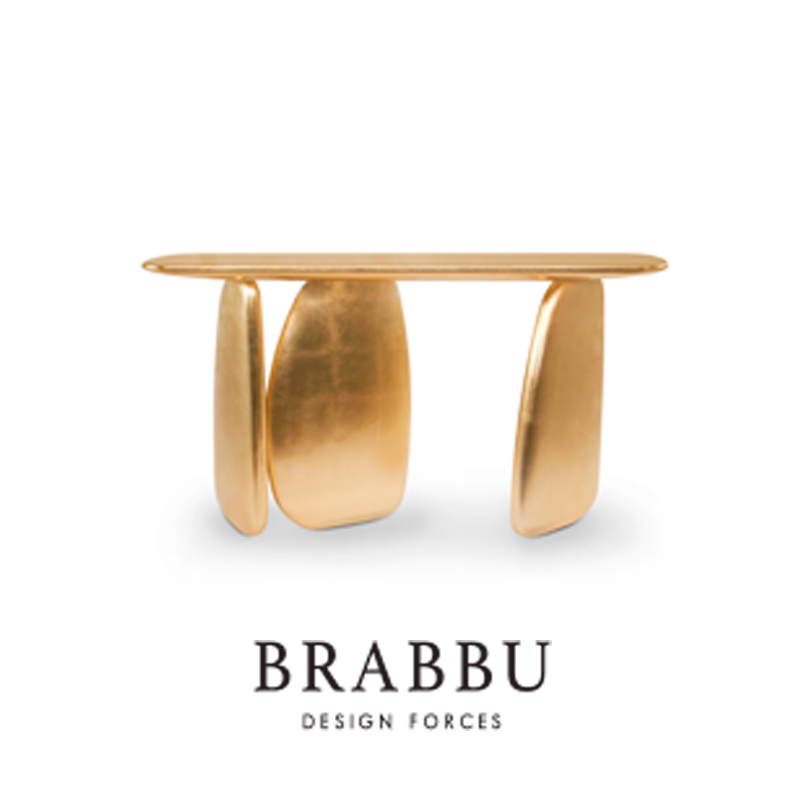 He includes his passion for culture, craftsmanship and mid-century in his project, including the ones in New York. In addition to designing furniture and product, as well as producing some stellar interior designs, Adler has also collaborated with other brands. 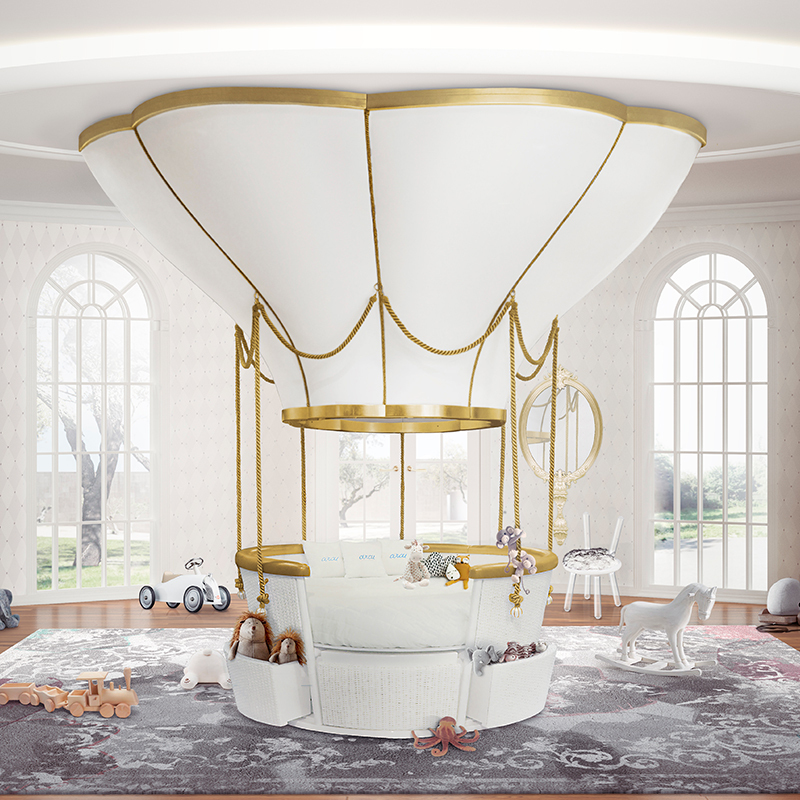 In 2009, for instance, Adler was asked by Mattel to design the modern-glam interiors for the “real” Barbie Dream House as part of Barbie’s 50th anniversary! 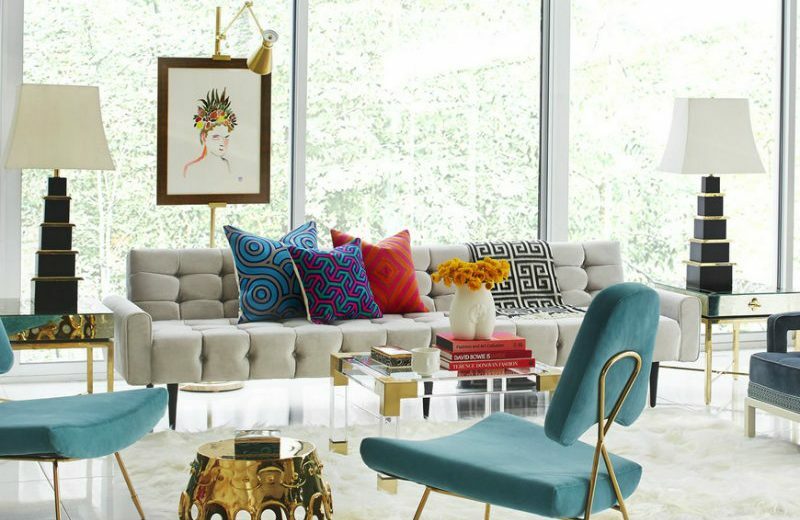 Jonathan Adler is best known for his “happy” interior designs and line of home furnishings. He owns a design company that’s dedicated to bringing “grooviness to your home” with pottery, furniture, rugs, or stationary. 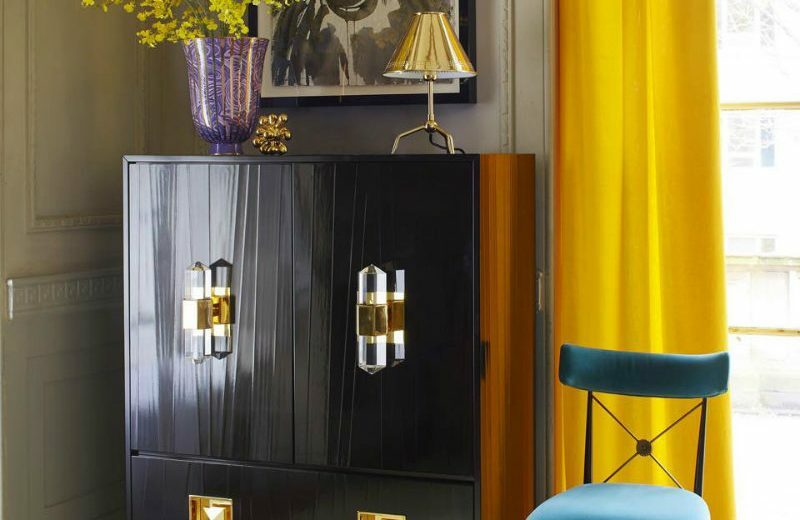 The following New York Design projects head by Jonathan Adler perfectly transmits this happy and power-colour style of his. 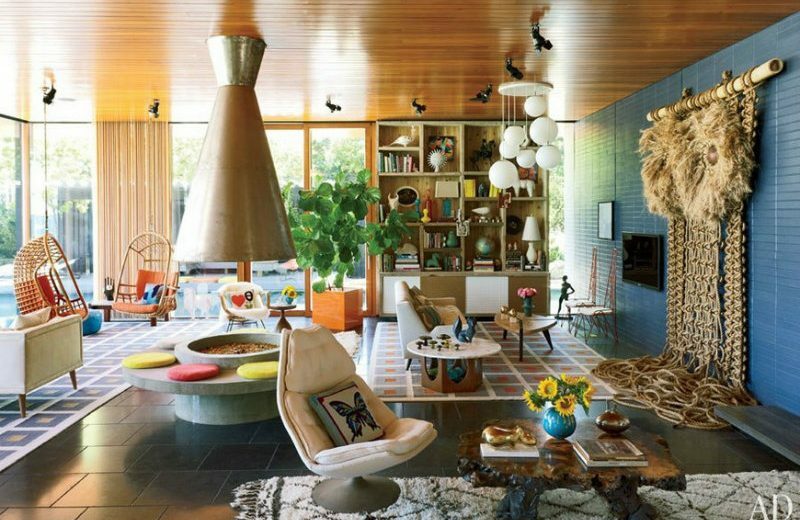 As you can see, Jonathan Adler is always surprising in his designs and he makes any design lovers happy! 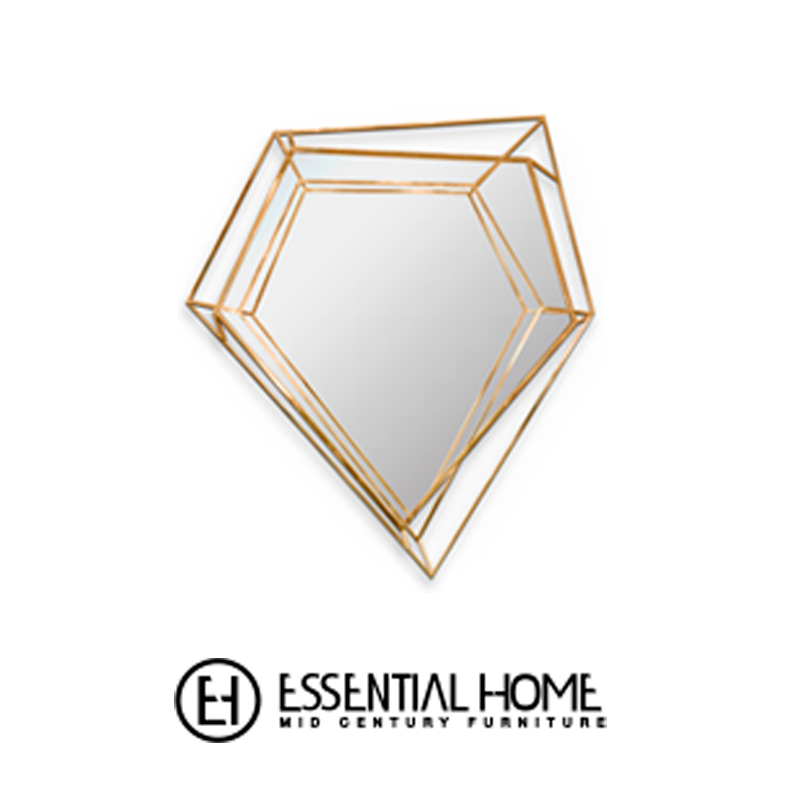 With a passion for Eclectic and Mid-century modern styles, Jonathan’s amazing interiors are constantly a trend for the interior design world and a source of inspiration for top Luxury Design Brands like Essential Home. 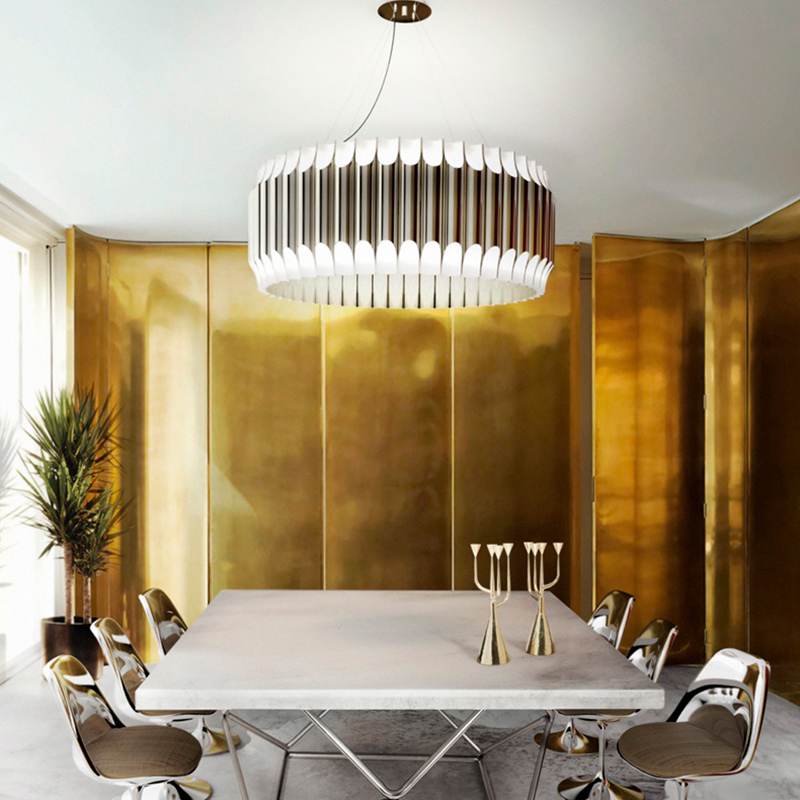 Ryan Korban is one of the most In-Vogue Interior Designers of the Moment in New York and the United States of America. 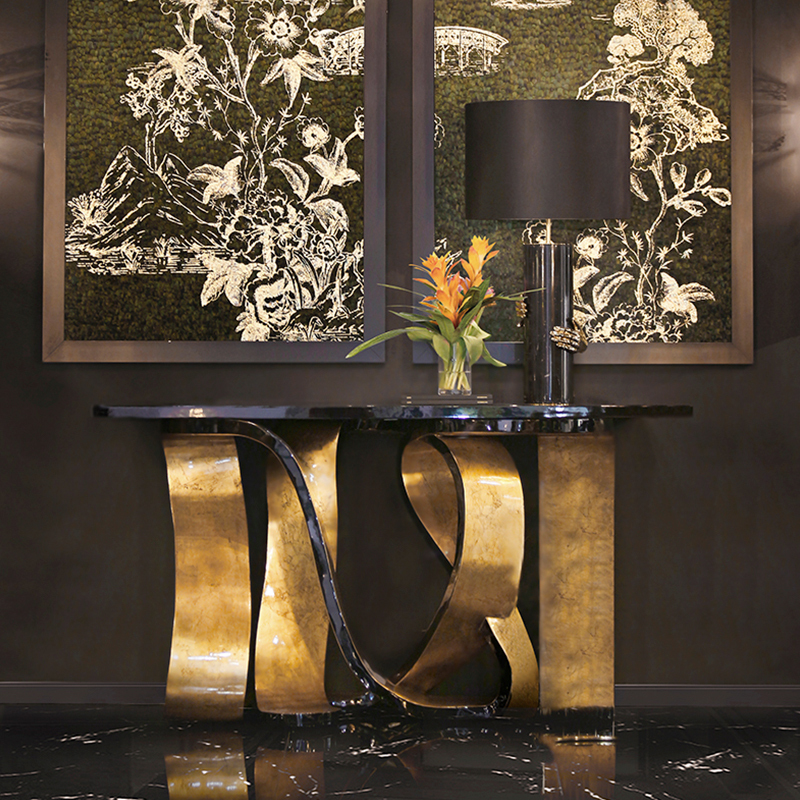 In the past few years, Korban jumped to the spotlight of the Design Industry and, since his luxury debut, his work and style have been making headlines on the Top Design Magazines of the Planet! Without any formal training, Korban developed his unique aesthetic, characterized by a mix of luxury, old-world romance, and urban cool! Drawing on inspirations ranging from Monet paintings to Helmut Newton photographs, he creates seductive, wondrous spaces that surpass trend to redefine traditional design for a new generation. 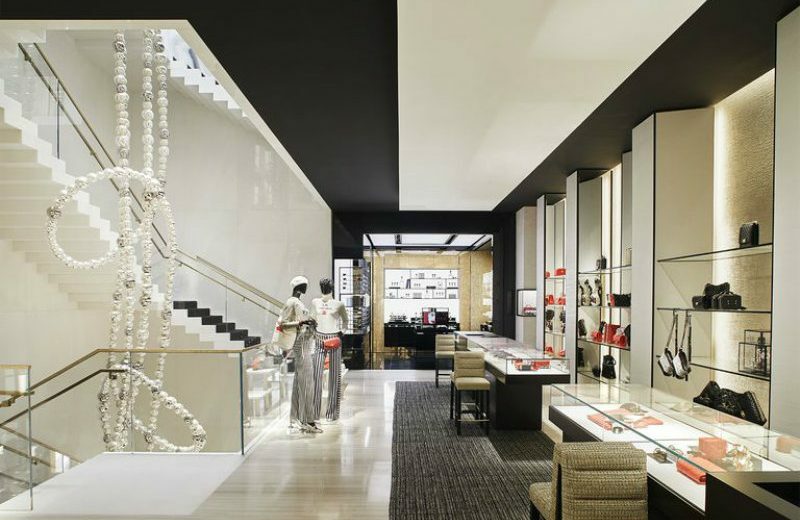 Specializing in retail design with an emphasis on luxury, Korban has completed some of the finest spaces in New York’s retail landscape. 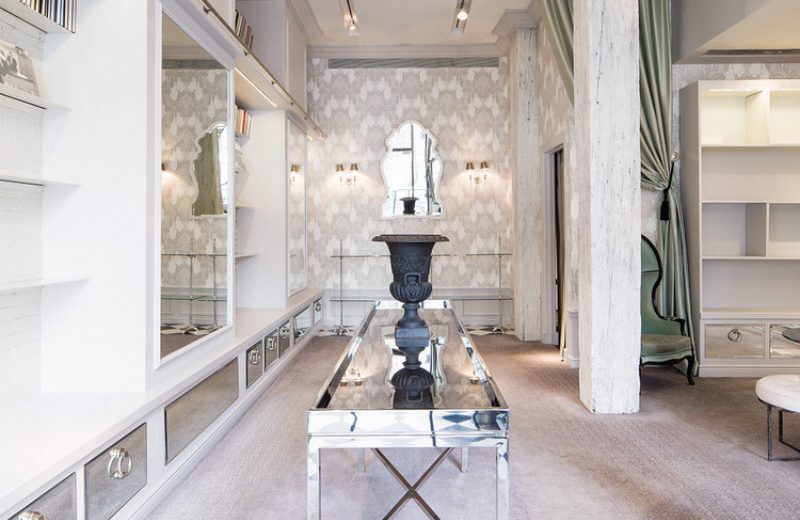 Known as the Fashion Interior Designer, Korban has catered some amazing design projects to the biggest names of the Fashion Industry and all of those projects he always included his specific style! One of those projects was for the Top Fashion brand Balenciaga. 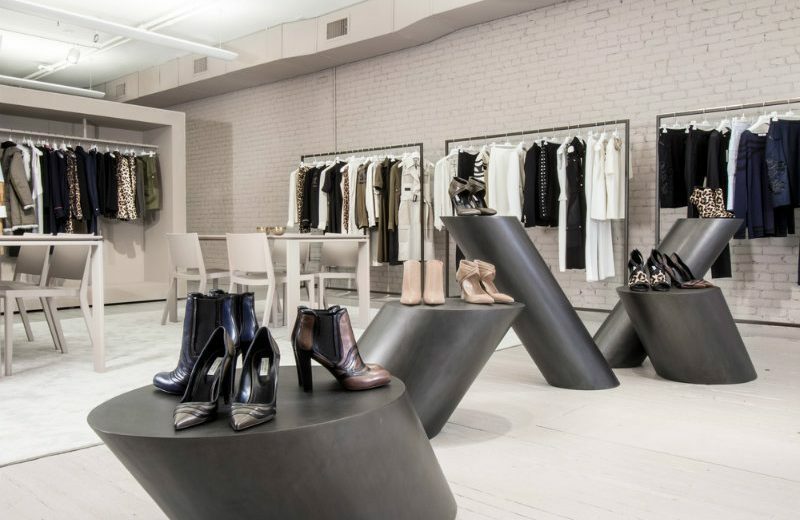 Korban designed it’s the stunning flagship store in New York following a Black, Modern and Eclectic Look! 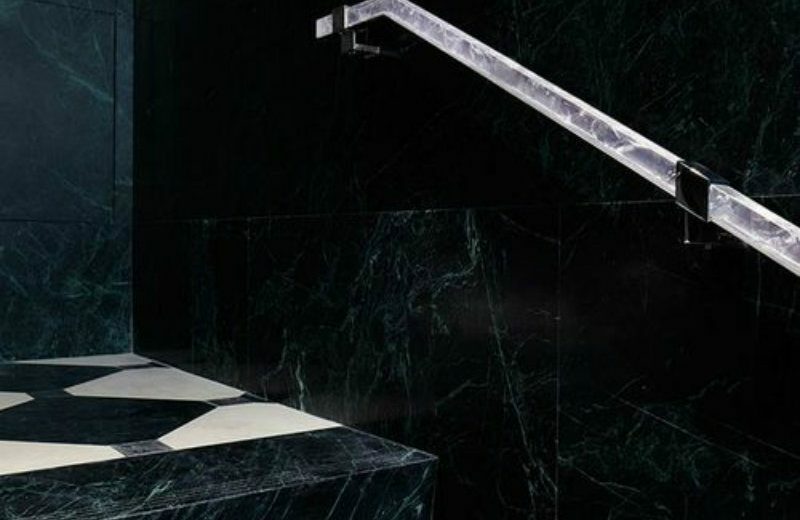 He didn’t overlook the optimal use of Marble, one of the Trends of the New Decade, and produced a Store’s Design Spirit that matches the Balenciaga’s fashion statements! 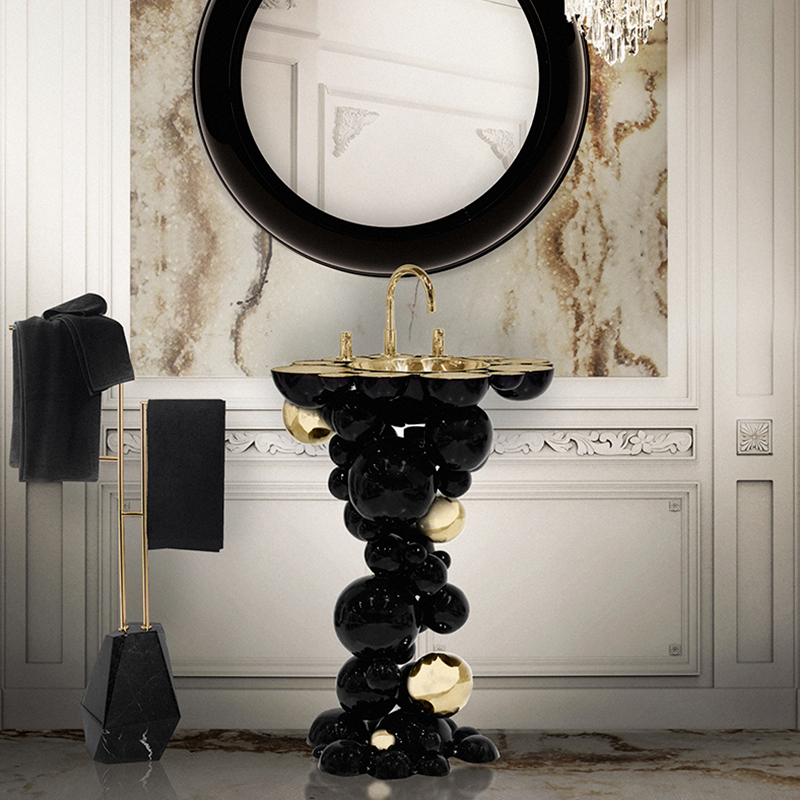 Korban also works in improving the luxury brand’s showrooms. 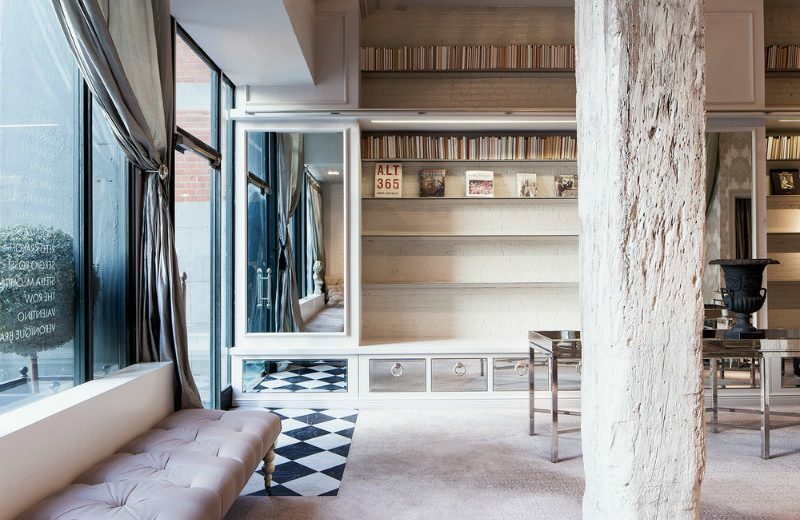 One of his latest projects in this field was the Altuzarra’s Showroom, also in New York City. 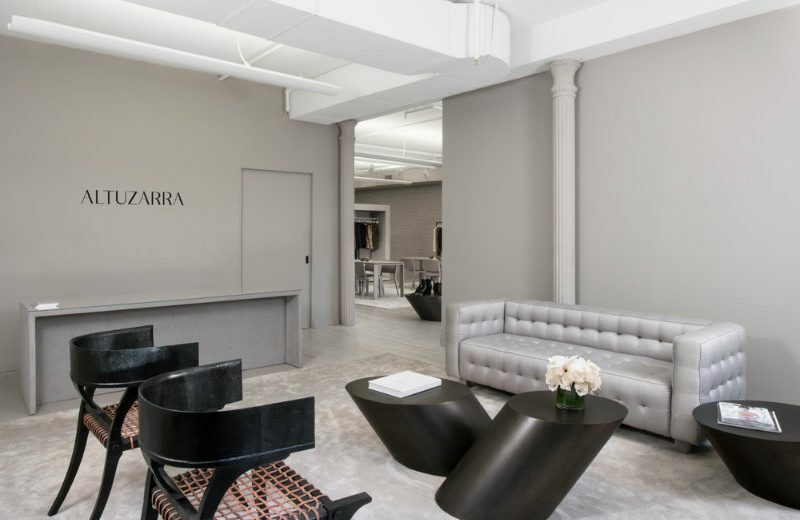 Following the simple but elegant style of the brand, Korban produced ample and powerful spaces that allow Altuzarra’s to showcase their elegant products in a friendly and high-end environment that matches their clients top design needs! 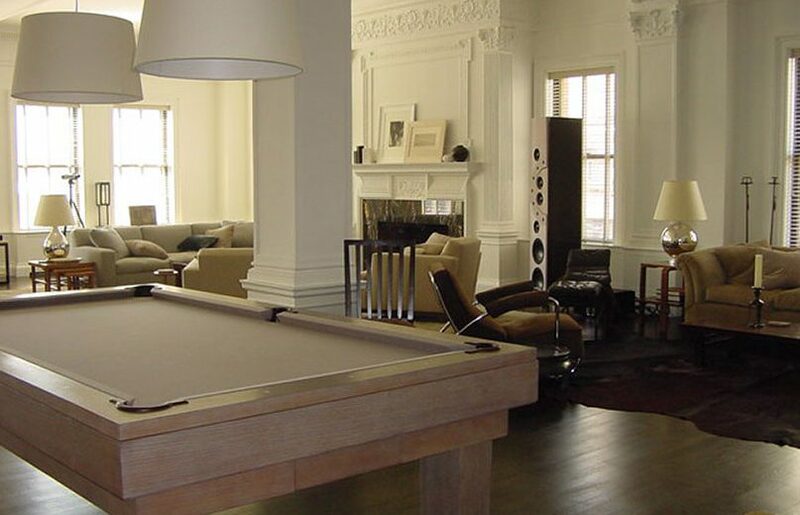 This top designer also produces stunning Residential Projects. 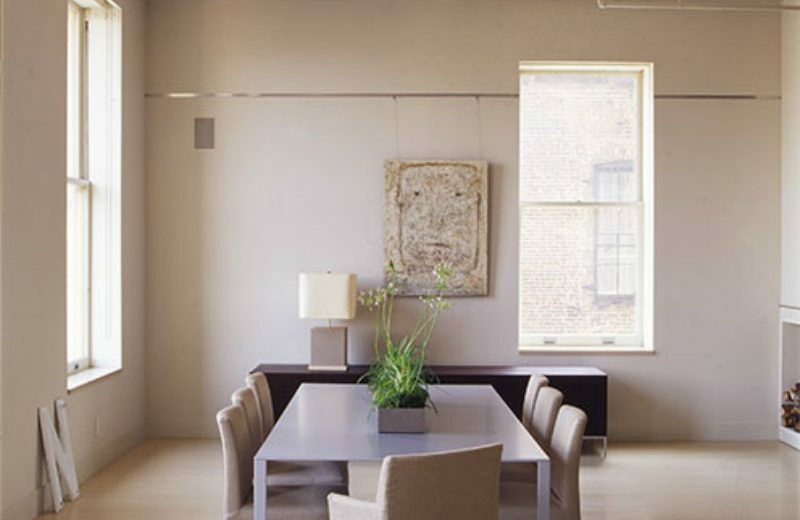 We’ve decided to show you the stunning Home Project that Korban recently presented in the posh neighbourhood of Tribeca. As you can see, Marble, Black and a Contemporary Eclectic Style are the main highlights of this stunning apartment Decor, and truth be told this Decor perfectly fits Korban’s passion for modernity, elegance and luxury. 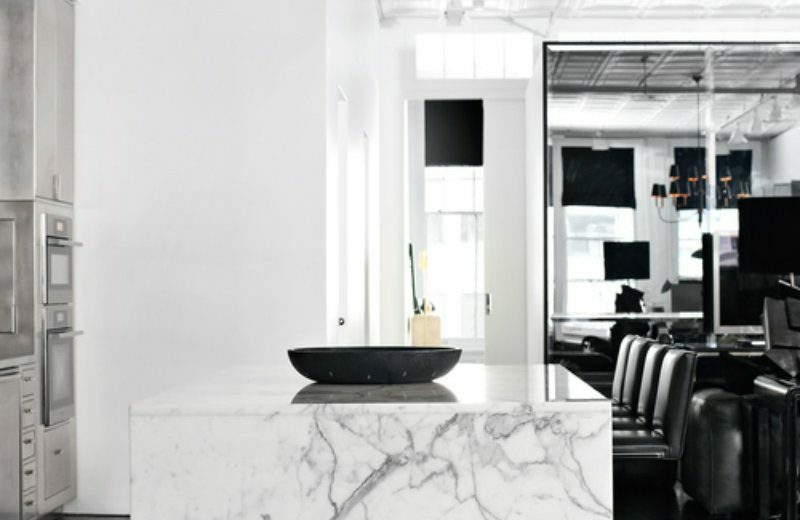 We just love his match of Marble with Black and the use of some elegant furniture pieces to create that black matte contemporary look! 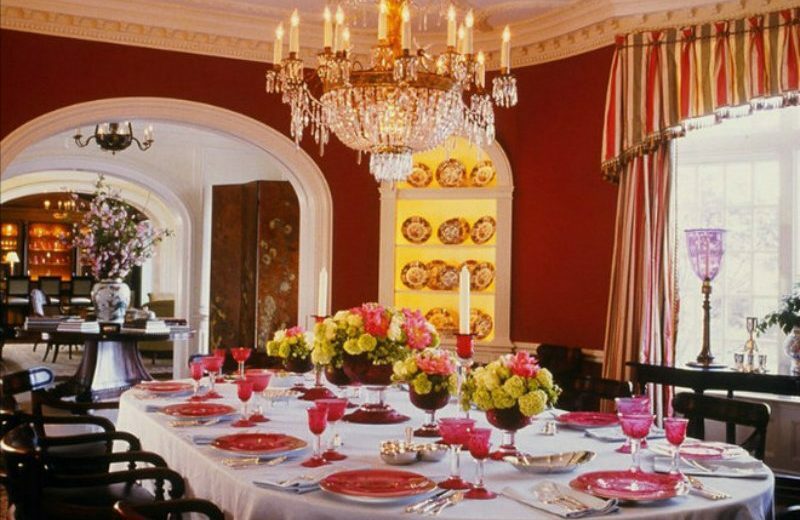 Bunny Williams is one of the Great Interior Designers of North America! 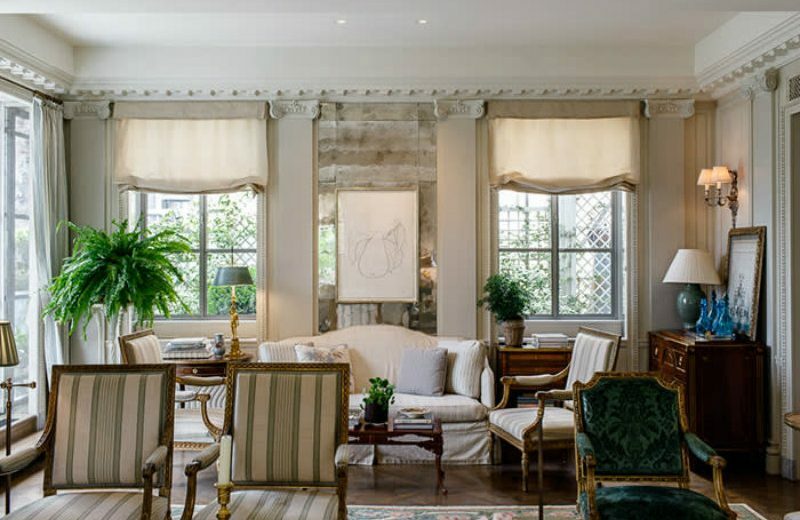 She opened her interior design company in 1988, after over 20 years of working for a decorating studio Parish-Hadley Associates, one of the Hallmark Studios of North-American Design that was headed by two Legends of Interior Design. 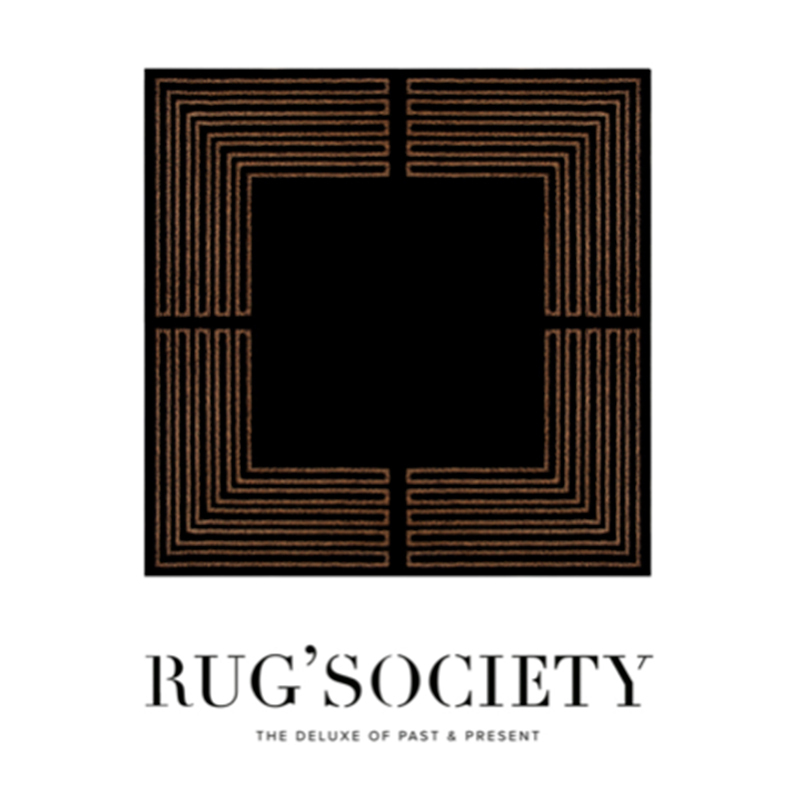 Since launching her Solo Career, Bunny has also launched a collection of furniture and accessories known as Bunny Williams Home (including side tables, lamps, chairs, case pieces, upholstery, mirrors, coffee and drinks tables) and since 1991 co-owns a garden furniture and ornament shop in New York, with antique dealer John Rosselli, extending her love of design to beyond the interiors. While creating beautiful rooms are Bunny’s first consideration, client service and attention to detail are of the utmost importance. To that end, Bunny has assembled two highly professional design teams, each headed by an accomplished Senior Designer, and it’s these Head Designers and their Teams that, currently, incorporate Bunny’s vision on clients’ homes throughout the United States and Abroad. 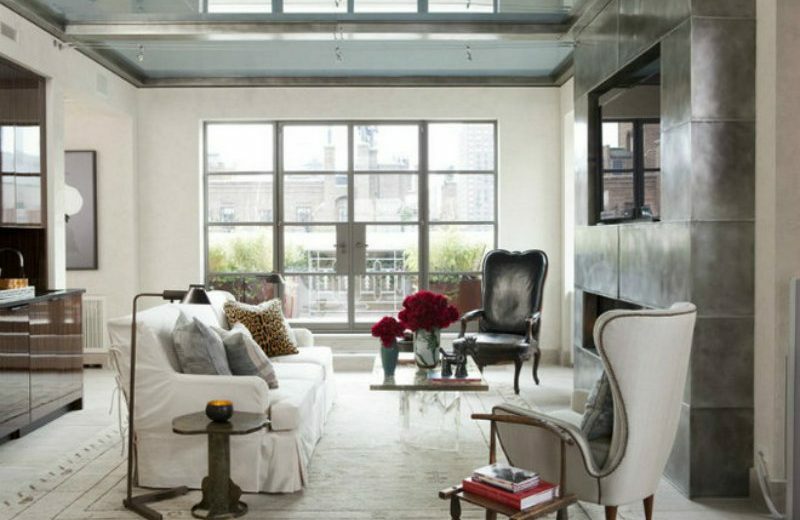 This New York Penthouse project is the main example of a project held by one of Bunny’s Team and you can see that, although it follows a more modern style than usual, there are classic elements of Bunny William’s Design within the Decor! Even though Bunny Williams isn’t as active as she was on her early professional years, she stills leads some stunning projects of her studio. The following projects are good examples of Bunny’s direct vision in her projects. 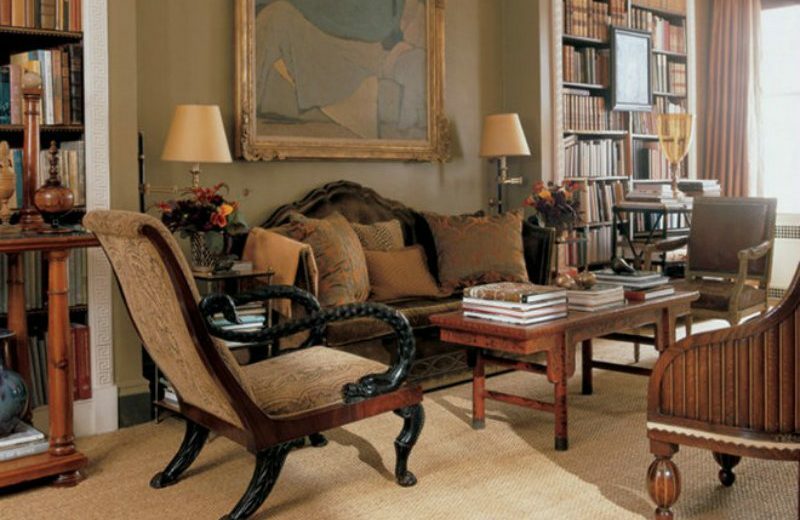 In fact, one of them is of Miss William’s very own house, so you can be sure that the vision of that specific vintage/ luxury decor is indeed the vision of Bunny Williams! 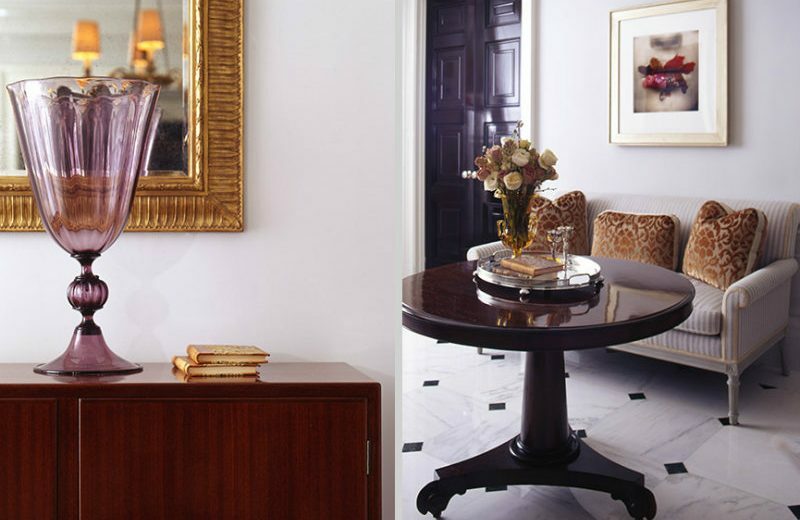 As you can see from these two stunning projects, Bunny Williams follows a more classic style that gets some inspirations from the legendary work of one of Bunny’s first employees and one of this top designer’s main source of inspiration, the iconic designer Sister Parish! Truth be told, Bunny Williams is currently just iconic as Sister Parish and her work is just as incredible as the ones produced by this legend of the Interior Design of the 20th Century! 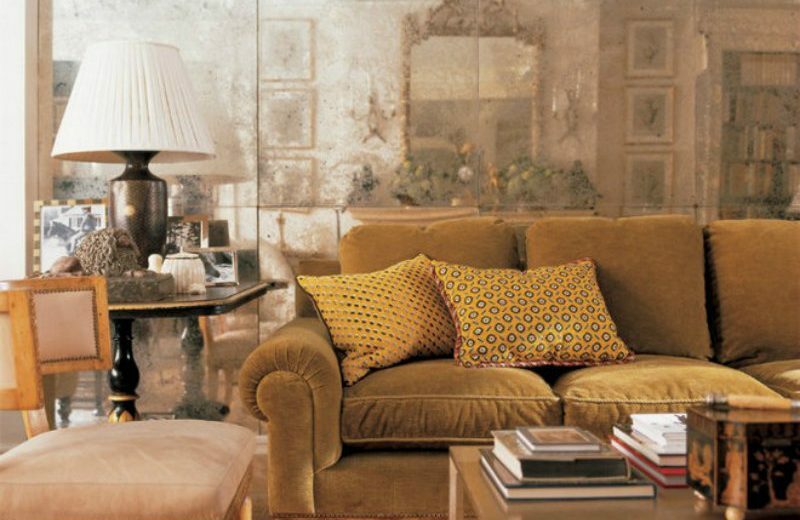 Founded in New York in 1984 by one of the top interior designers and architects of North America, David Rockwell, the Rockwell Group creates annually some of the most extraordinary designs all around the world. The group is one of the biggest employers of Interior Designers and Architects in the United States and, currently, hires over 250 people in its offices in New York, Madrid and Shanghai. As you can imagine, the Rockwell Groups specializes in a wide array of work from luxury hospitality, cultural, and healthcare projects, to educational, product, and set design. Also within the Contract/ Commercial projects, the Rockwell Group also dedicates themselves to the creation of Stunning Restaurants. One of its recent projects in this area was the Wayan Restaurant, an Asian Themed Restaurant in Soho, New York. The group’s team gave this restaurant a full makeover and the end result is incredible and has some luxurious details, like some authentic carved wood pieces from Indonesia. One of Rockwell’s Group most ambitious projects in New York in recent history isn’t quite finished yet, but when it will be done it will be just as incredible as some of the past glorious projects of this Group. 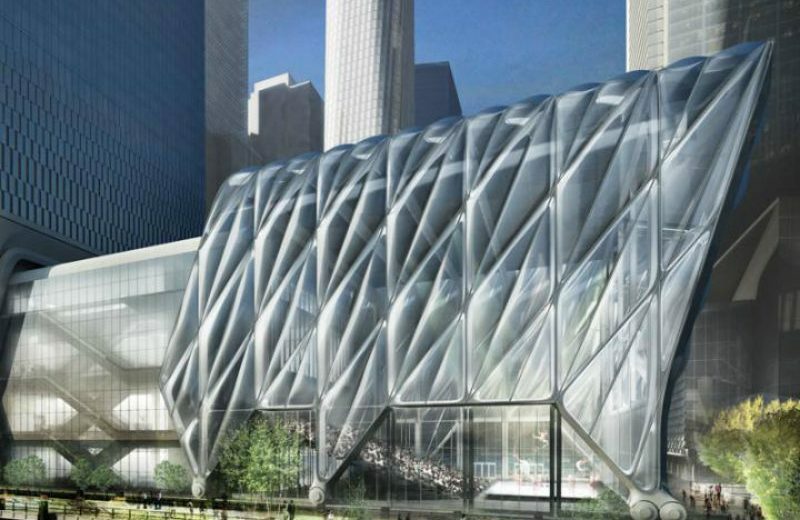 Opening on April 5 of 2019, The Shed will be New York’s first arts centre dedicated to commissioning, producing, and presenting all types of performing arts, visual arts, and popular culture. 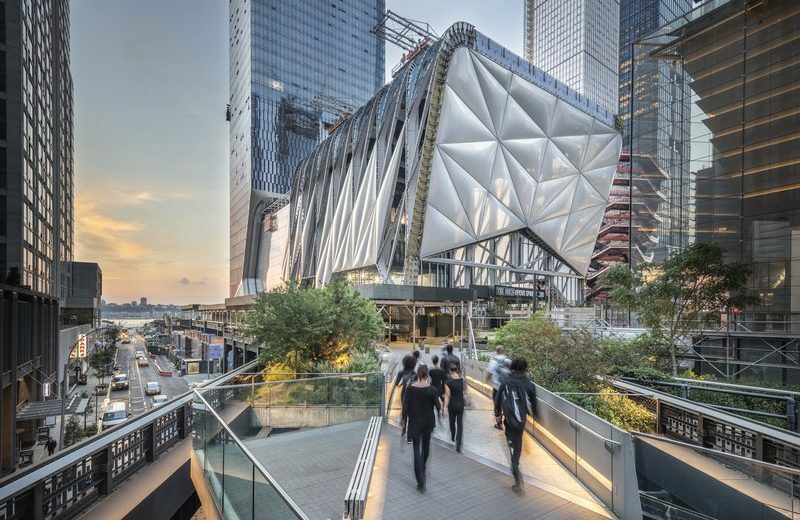 The Shed’s Bloomberg Building— an innovative 200,000-square-foot structure designed by Diller Scofidio + Renfro, Lead Architect and Rockwell Group, Collaborating Architect, is designed to physically transform to support artists’ most ambitious ideas. 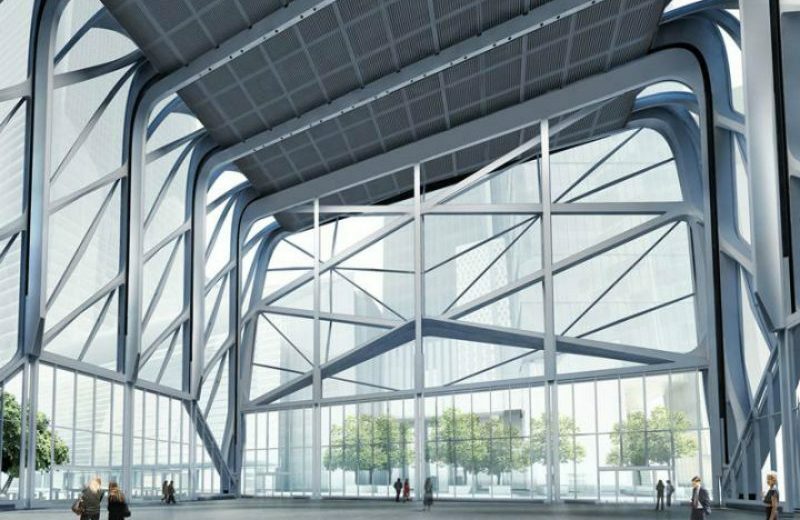 This building will become one of the Top Landmarks of New York for sure! With hundreds of projects in the New York Area, we highlight three projects of the Thomas O’Brien/ Aero Studio Portfolio. 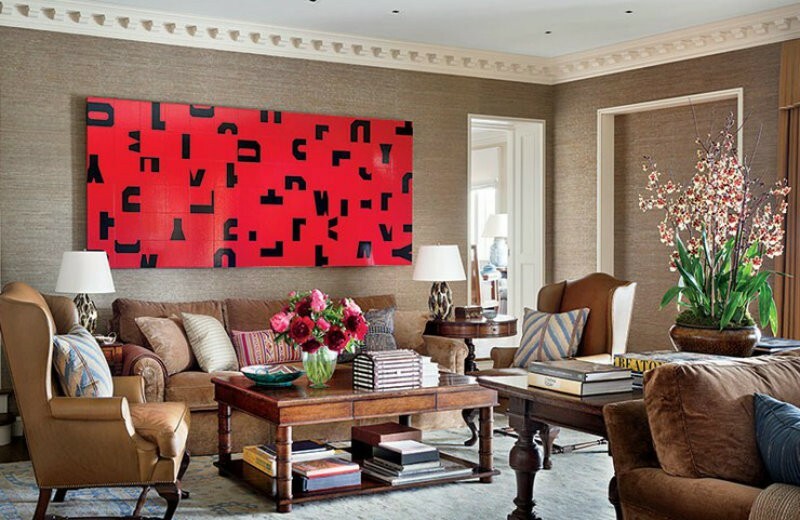 Let us start with a chic 5th Avenue apartment decor that presents us with a more classical style side of Thomas O’Brien. 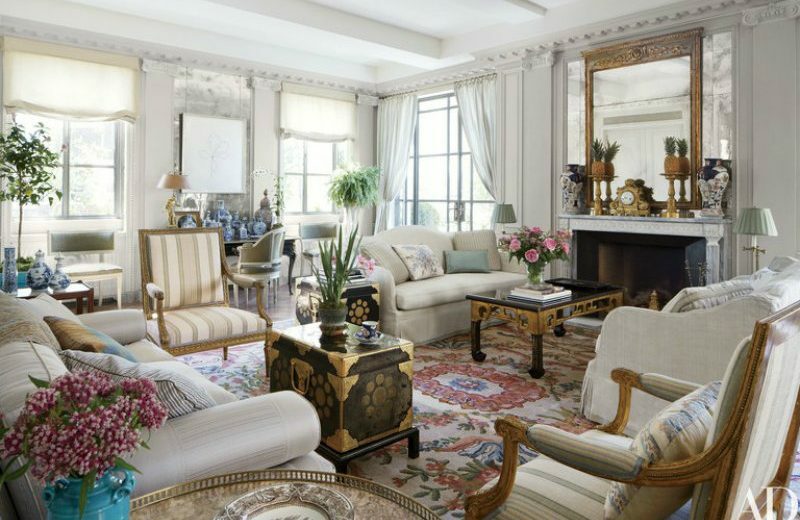 Paying tribute to the past glam of New York, this house perfectly fits the 5th Avenue style and spirit! 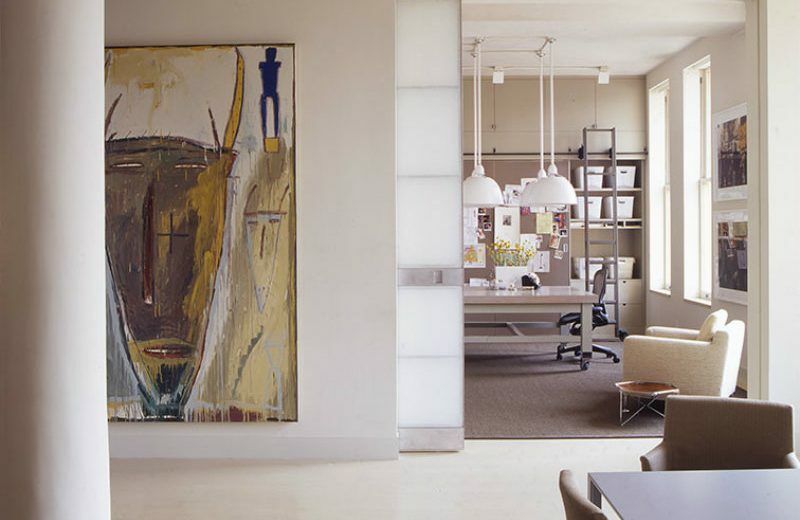 A bit more modern is this Tribeca Loft Design! By following a Clear and Bright colour palette and by presenting a great selection of curated and modern furniture pieces, this Loft Design showcases Aero Studio’s top quality work and attention to details. A great house design that fits the bohemian and modern style of the Tribeca Neighborhood. 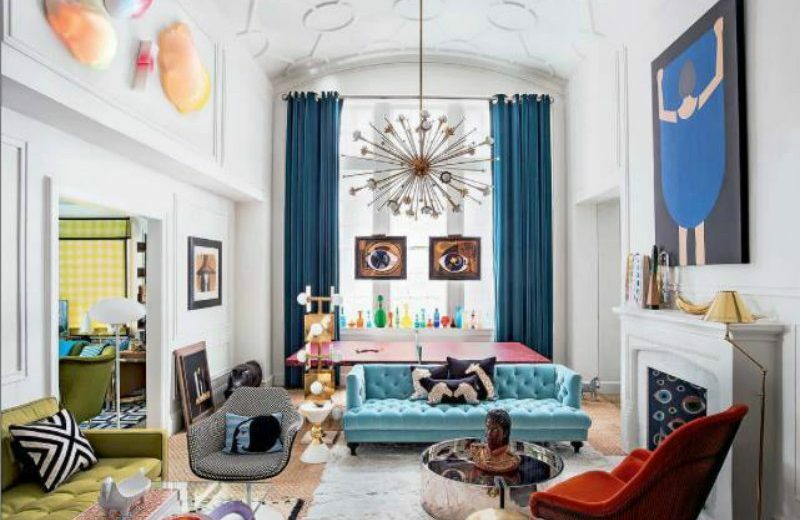 Another posh neighbourhood of New York is Soho and it’s at this location that e find a stunning apartment whose decor was also designed by Thomas O’Brien and his top studio. It showcases elegance and quality, but most of all it showcases one of the top design values of this top designer: luxury simplicity! All of these Top Interior Designers will pay close attention to the AD Design Show. 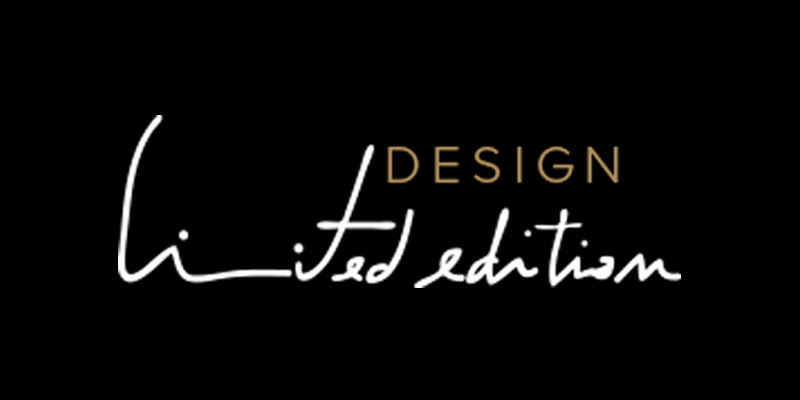 Created in 2001, the famous AD Design Show is one of the top leading events that set the ultimate interior design trends for the rest of the year! In here the world’s leading brands and the top interior design experts come together to create a curated design exhibition where you can find everything from unique furnishings, bespoke accessories and incredible lighting designs, to the top bath, kitchen and building projects from independent makers and established manufacturers. 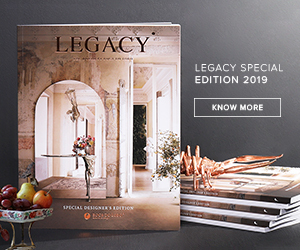 In every edition, the design tradeshow famous for having countless ways to celebrate the best of New York City design serves as the ultimate inspiration source for almost 40 000 interior design enthusiasts. With more than 400 luxury brands, the AD Design Show is a wide-ranching event that offers a world of solutions and creative ideas to its visitors! “There are a lot of big brands that you’d expect here, but it’s kind of amazing how many smaller brands you can discover. It’s a free look as an architect at what’s going on in the world of design and what’s emerging right now” ( David Rockwell, founder & President of the Rockwell Group). In case that this is your first visit, discover what is behind the incredible New York interior design, through the city’s top luxury brands, incredible design stores, and showrooms as well as renowned interior designers! 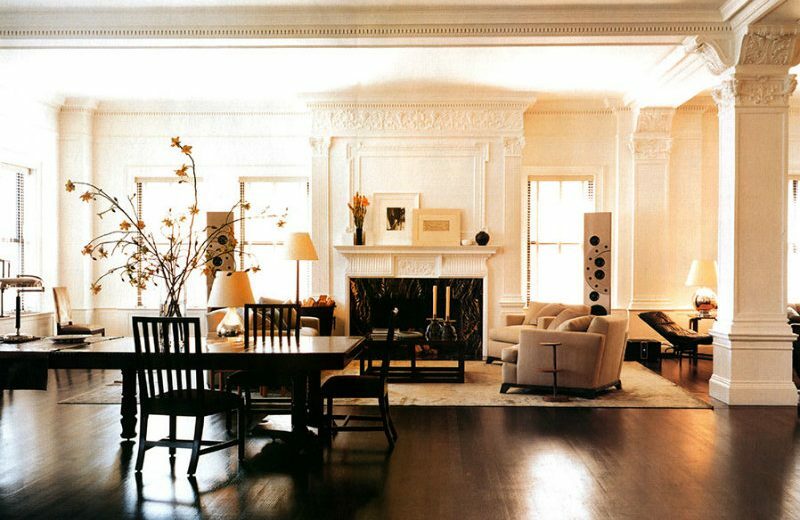 Stay with us to get inspired by New York’s Top Interior Designers and other Home Decor Ideas.